It was in 2002, while studying musical theatre in NYC, that the revolutionary seedlings of Yoga where first planted for Raquel. Every week her vocal coach would have her drop into cat/ cow while warming up her voice. She would say, “accessing the deeper dimensions of the body was the key to unlocking the voice inside”. This was only the beginning…Since then, she has gone on to explore many lineages and manifestations from the Yogic tradition. Living in New York and California has given her the opportunity to study and work with some of the world’s leading Yoga teachers. Meditation is a daily practice and an indispensable factor to the quality of her life. She received her 200 hr through YogaWorks in 2013, under the tutelage of Joan Hyman and Carmen Fitzgibbon. 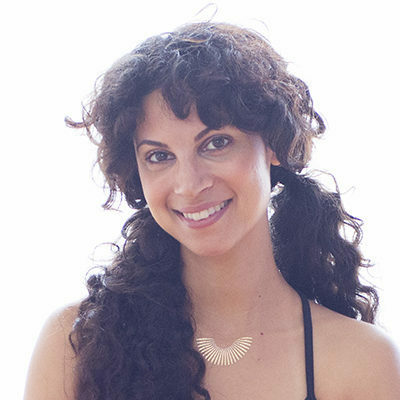 Her certification in Trauma Informed Yoga was led by Hala Khouri and Kyra Haglund, and her Restorative certification was transferred via Jillian Pransky.